Mumbai is one of the most crowded cities in the world. This Megapolis, even though the largest in India, is so much packed that every inch of space here is literary its worth in gold! The realty market in Mumbai has thus become a real costly affair, with high pressure and no point of release. It’s thus now the most opportune period for the suburb of Mulund! Why, you might ask. Mulund is the only suburb situated at the hub of MMR – between Thane, Navi Mumbai and SoBo. Strategically located at the junction of South Mumbai, Thane and Vashi, it is just 30 minutes away from these city centres. With the advantages of a green neighbourhood and a ready social infrastructure, Mulund is the most desired neighbourhood in the Central Suburbs contributing to 42% of demand therein. Similar to Malabar Hill in South Mumbai, Five Gardens in Central Mumbai and Pirojshanagar in Vikhroli which are naturally-blessed residential destinations, commanding up to 55% premium over their immediate vicinity, Mulund is a gold mine ready to be explored. Central Park in New York, and Hyde Park, London are two of the world’s most sought-after addresses. Residences located around these stunningly beautiful, historic parks have a unique prestige that simply could not be acquired anywhere else, until now! 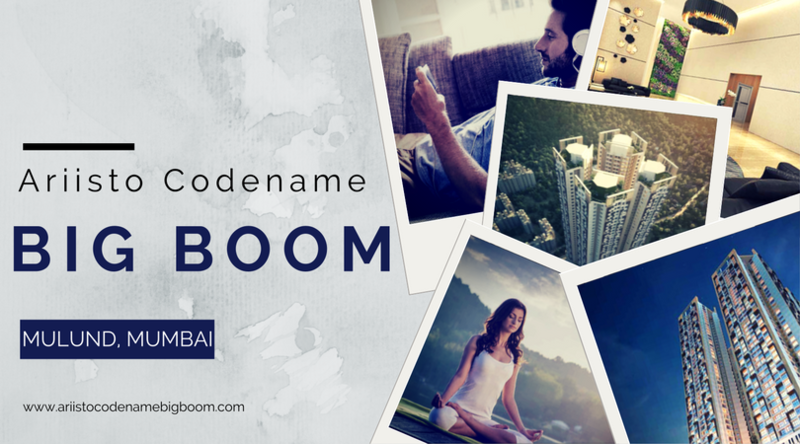 With its singularly beautiful setting at the foothills of the Yogi Hills and boundary of Sanjay Gandhi National Park, Codename Big Boom offers you the priceless advantage of a unique location, with an ultra-modern luxury lifestyle. An address that will command a huge premium in the years to come, and will remain a rare living experience forever.